You have to give us a little while for our eyes to adjust. It’s dizzying, you understand. A bit disorienting. The media took an eight year break from covering White House scandals, and now, after these past 96 months of silence, they’ve suddenly got their noses to the ground and are tracking the scent of corruption once again. A full 8 years of inaction and, miraculously, out of nowhere, like Sleeping Beauty kissed by Prince Charming, they’ve opened their eyes and risen from their long slumber. Most of us would probably lose our jobs if we decided not to do them for 3,000 days in a row, but journalists are a privileged lot. I thought school teachers were lucky because they get to take 3 months off every year, but that’s nothing compared to the media. News reporters are allowed to go into a state of virtual hibernation for as long as there’s a Democrat in the White House. No wonder they work so hard to elect Democrats! You would, too, if it meant a paid vacation for the better part of the next decade. I don’t know if this Michael Flynn thing is a legitimate scandal or not. 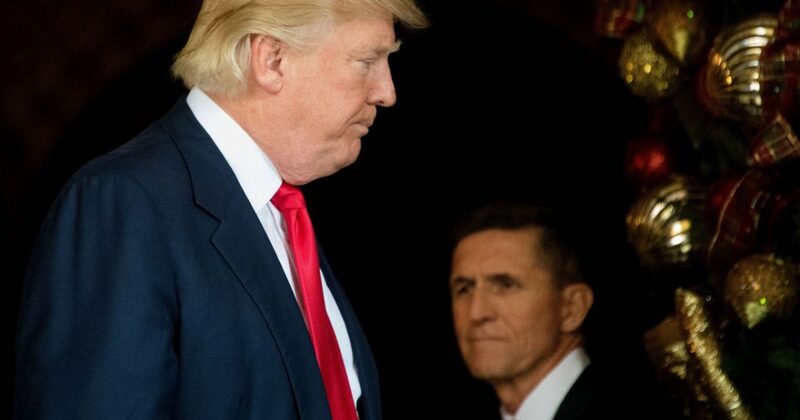 All we know at the moment is that, shortly before Trump took office, Flynn spoke to the Russian ambassador about the sanctions Obama had levied against them. I don’t see that alone as some great crime. More importantly, the FBI doesn’t see it as a crime, which is why they aren’t going to prosecute. The fact that Flynn lied to everyone makes it a bigger problem, and justified his ouster from the Administration. None of this, as far as we know, rises anywhere even close to the level of an impeachable offense on Trump’s part. But the media is, of course, trying to connect enough dots to make it what they want it to be (which, by the way, is not how investigative journalism is supposed to work). The New York Times had a bombshell report last night revealing that people in Trump’s campaign had contact with people in Russian intelligence over the past several months. What’s not clear is who talked to who, or what about, or whether the people in Trump’s campaign knew the other people were Russian intelligence, or whether Trump knew this was going on, or whether anything remotely illegal was done or said, or anything else. Some folks talked to some folks. That’s about the extent of the story at this point. In other words, there isn’t a story. And whatever incomplete story we have, we only have because members of the intelligence community are in a state of outright mutiny. As far as we know right now, the only real criminals here are the intelligence officials who’ve been leaking classified information from clandestinely recorded telephone conversations to the media in hopes of sabotaging a sitting president. That is a crime, a scandal, and it has the makings of a true constitutional crisis. But the media isn’t interested in running that angle down. They’re only interested in nailing the president for corruption, which is an interest they only just developed. Look, if Trump is ever guilty of real abuses of power, real corruption, real scandal, I will be the first to call for his head, metaphorically. And I don’t think a Trump scandal is mitigated or made less important or more acceptable by the fact that Obama also had scandals. I’m not going to shout “But Obama!” in order to bail Trump out of whatever trouble he may bring upon himself. Leftists spent eight years shouting “But Bush” for Obama’s sake, and I don’t intend to adopt that strategy. But the fact is that Obama did have scandals — real scandals, terrible scandals, scandalous scandals — and, in the interest of truth, we can’t allow the Left to stand right in front of us and rewrite history on the fly. The truth matters. I say it again: The truth matters.